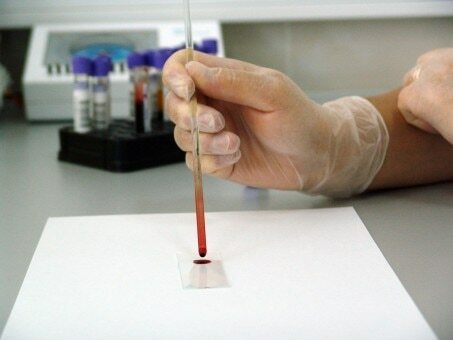 Indiana University School of Medicine researchers have developed a blood test that measures identifying genetic markers of stress, states a press release in ScienceDaily (1). The test could create a new wave of personalized treatments as well as prevention for tough PTSD side effects, such as depression and suicide. Lead researcher Dr. Alexander Niculescu said the scientists applied the same idea of testing that health professionals already use on other diseases. For example, doctors often use biopsies when dealing with cancer. Although doctors can’t biopsy the brain, they could pinpoint markers in the blood which indicate stress. To do that, researchers needed to find those genetic markers and then verify their predictability using multiple studies. They used five phases, which the researchers call the “discovery, prioritization, validation and testing phases” in the study’s paper (2). First, the researchers followed over 200 patients from the Richard L. Roudebush VA Medical Center in Indianapolis. Over multiple patient visits, researchers took blood samples with the patients under both low and high stress. Scientists were looking for changes in gene expression that could serve as accurate markers for stress. In fact, the findings were even more accurate when honed according to the patient’s gender and medical diagnosis. Next, researchers compared their findings with other biomarkers for stress and aging like the length of telomeres. Telomeres are the caps at the end of DNA strands that protect them from deterioration. Comparing the markers allowed researchers to see that their newly identified biomarkers were just as effective, if not more so, than other markers of stress, states the study. The research brought to light several new compounds and gene expressions that may spur more targeted treatments for PTSD patients. Previously, Niculescu has worked on suicide research as well as developed an innovative blood test to measure pain. According to the U.S. Department of Veteran Affairs, over 50% of men and women deal with a traumatic event in their lives (3). About 7-8 percent have PTSD at some point during their lifetime. In addition, women are twice as likely as men to develop the condition (10 percent versus 4 percent). In addition, the American Psychiatric Association states that intruding thoughts and trouble dealing with emotions can be a normal response to trauma after an incident (4). However, people with PTSD suffer symptoms for months or years. Those suffering with the condition may relive the experience, have negative thoughts about themselves or others or suffer emotional problems such as anger outbursts or persistent fear. Dr. Niculescu stresses the importance of research like theirs in the press report. According to him, treating mental disorders can improve a person’s quality of life. “Sometimes, you save lives,” he says. Find out if there will be male birth control in your future. Indiana University. (2019, March 12). Groundbreaking test for PTSD developed. ScienceDaily. Retrieved April 2, 2019 from www.sciencedaily.com/releases/2019/03/190312092510.htm. Le-Niculescu, H., Roseberry, K., Levey, D. F., Rogers, J., Kosary, K., Prabha, S., Jones, T., Judd, S., McCormick, M. A., Wessel, A. R., Williams, A., Phalen, P. L., Mamdani, F., Sequeira, A., Kurian, S. M., & Niculescu, A. B. (2019, March 12). Towards precision medicine for stress disorders: diagnostic biomarkers and targeted drugs. Molecular Psychiatry. Retrieved from https://www.nature.com/articles/s41380-019-0370-z. U.S. Department of Veteran Affairs. (n.d.). How common is PTSD in adults? Retrieved from https://www.ptsd.va.gov/understand/common/common_adults.asp. Parekh, R. (2017 January). What is Posttraumatic Stress Disorder? American Psychiatric Association. Retrieved from https://www.psychiatry.org/patients-families/ptsd/what-is-ptsd.